This social sharing internet tool allows you to enter any URL and gives you a count of how many times it was ever shared across the 4 major social sharing sites: Facebook, Twitter, Google Plus and LinkedIn. Diigo - Web Highlighter and Sticky Notes, Online Bookmarking and Annotation, Personal Learning Network. Diigo is a powerful research tool and a knowledge-sharing community. 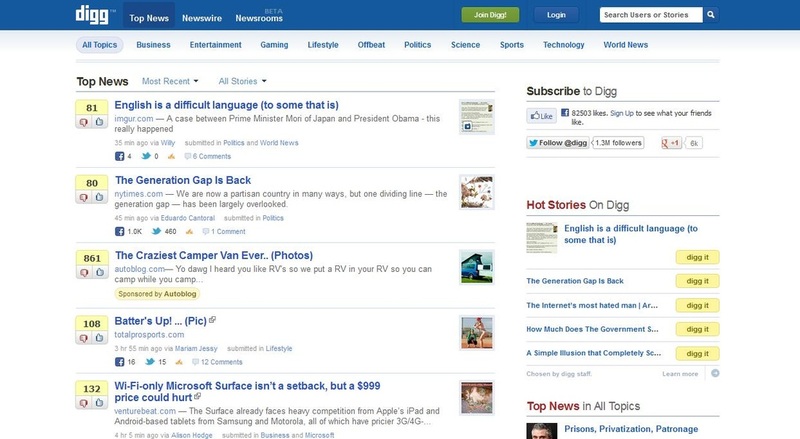 Digg - The best news, videos and pictures on the web as voted on by the Digg community. Breaking news on Technology, Politics, Entertainment, and more! 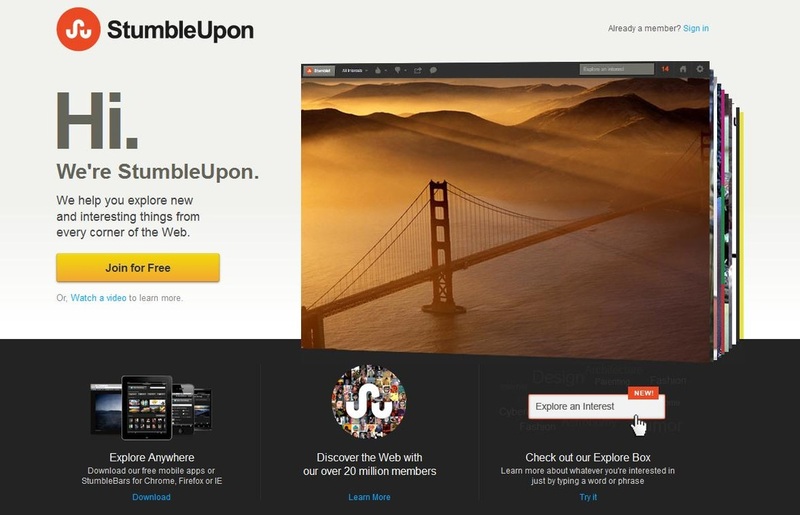 StumbleUpon is the easiest way to discover new and interesting web pages, photos and videos across the Web.